Sprint offers a new plan called Sprint 55+ plan to target the 55 years and older people. Sprint new plan represents another Sprint Senior discount and is a competitor to the Verizon 55+ and the T-Mobile 55+ Unlimited plans. The Sprint 55 plus plan offers unlimited talk, text, and data for a discounted price just $50 per month with autopay and allows adding a second line for only $20 a month. The Sprint 55 plus unlimited plan lets you pay up to $30 less than the standard Sprint unlimited plan, which offers two lines for $100 a month. Let’s review the plan details and show you how to be eligible. The Sprint 55+ plan, which is discussed below isn’t the only Sprint Senior discount. 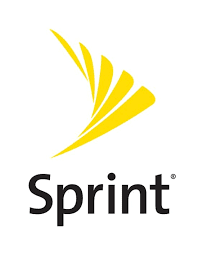 You can check out the Sprint AARP discount for seniors and the Sprint AAA discounts. The plan may represent a good deal for Senior citizens who are using smartphones. The new Sprint plan offers unlimited talk, text, and 4G LTE data and all the Sprint’s standard unlimited plan features for a reasonable price. Unlimited Talk, Text and 4G LTE Data. Global Roaming in over 185 countries around the world. Stream video in up to 480p (DVD-quality). Stream music at up to 500kbps. Stream cloud gaming at up to 2Mbps. First line for $50/ month with autopay. First line for $55/ month without autopay. The second line for $20/ month with autopay. The second line for $25/ month without autopay. Sprint autopay gives you a $5 discount per month. This discounted plan available only for new customers who are 55 years or older. Is the Sprint 55+ plan for seniors better for you? This plan represents a new Sprint senior discount and allows seniors to get the Sprint’s standard unlimited plan for a discounted price. It’s a good deal to get an unlimited plan from one of the four major carriers in the US at $70 for two lines with autopay (at $35 per line). But Sprint 55+ isn’t the cheapest unlimited senior plan from the major carriers; the T-Mobile 55 plus unlimited plan offers almost the same features for $60 for two lines with autopay plus taxes &fees included. The second drawback is the plan is not available for the current users.